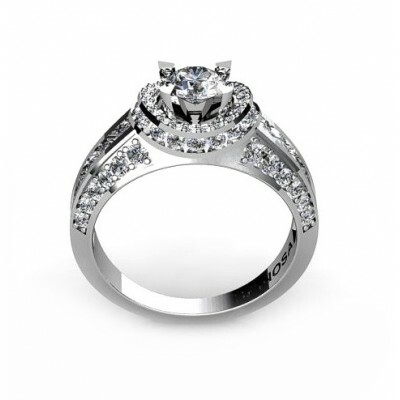 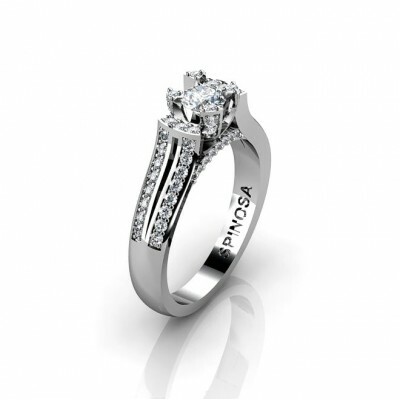 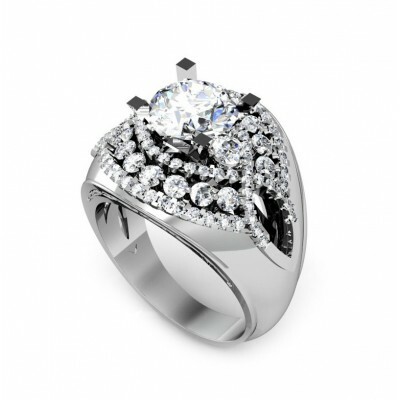 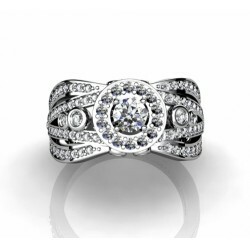 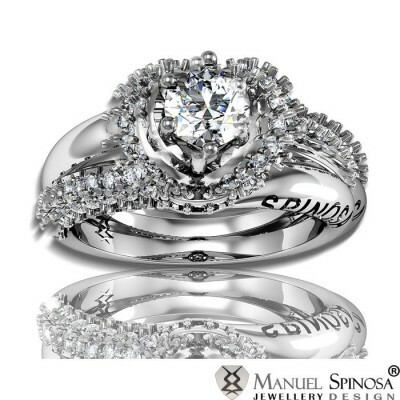 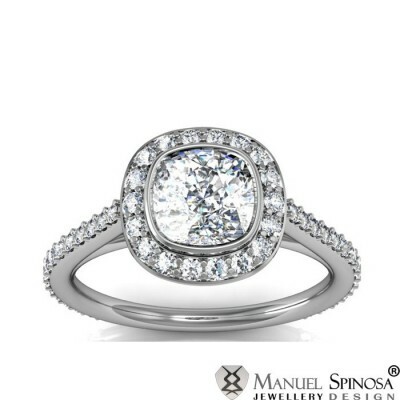 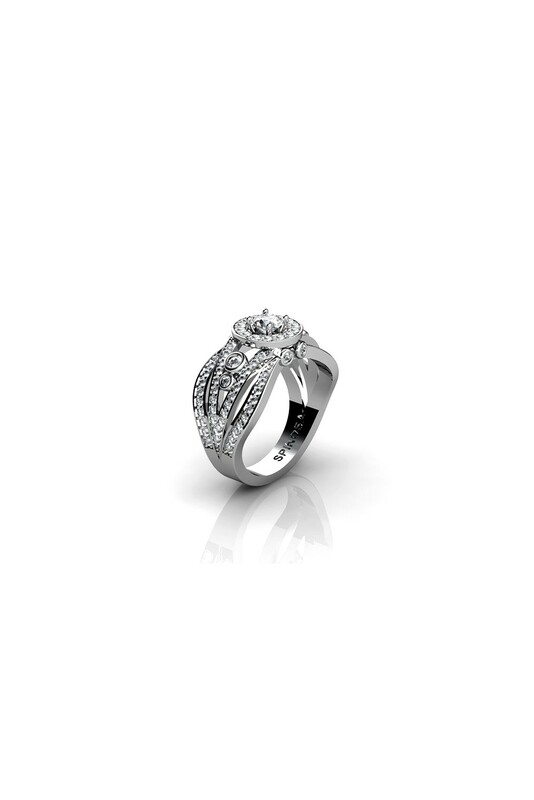 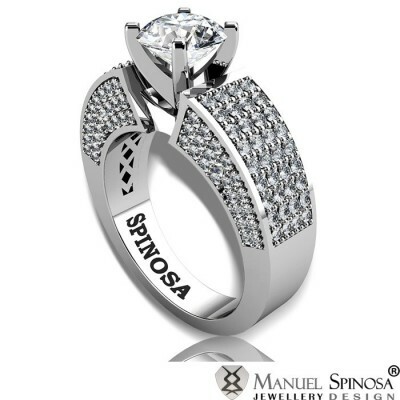 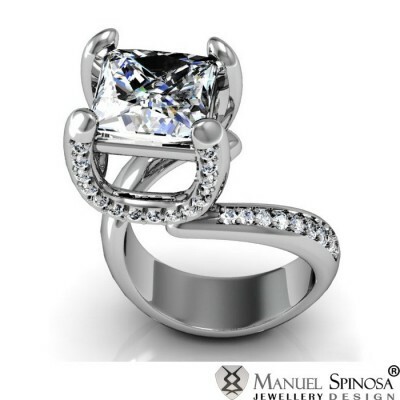 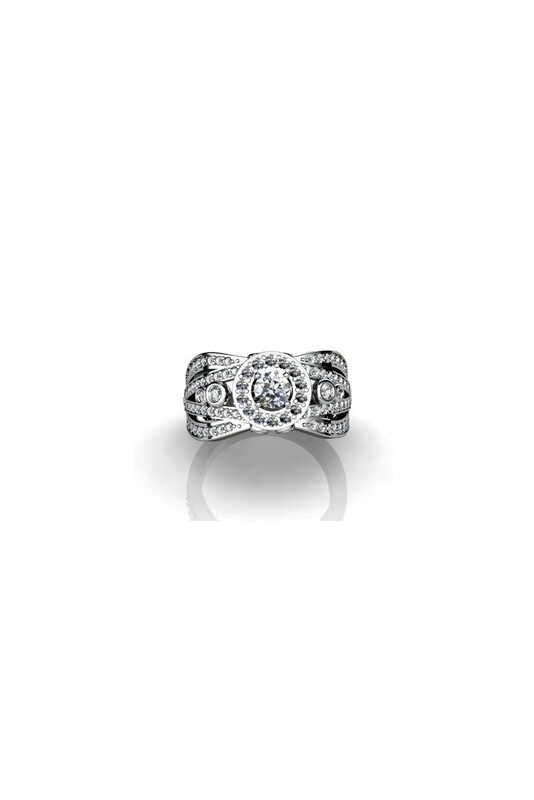 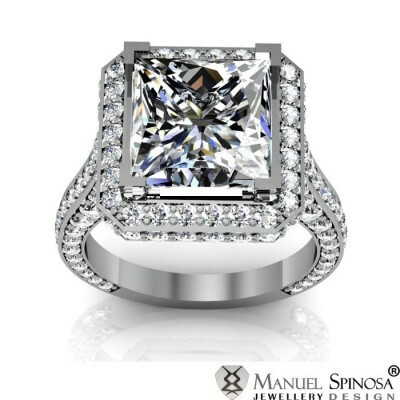 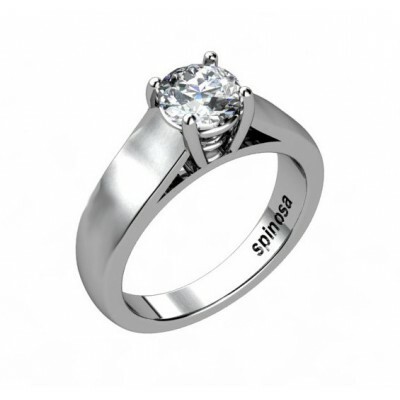 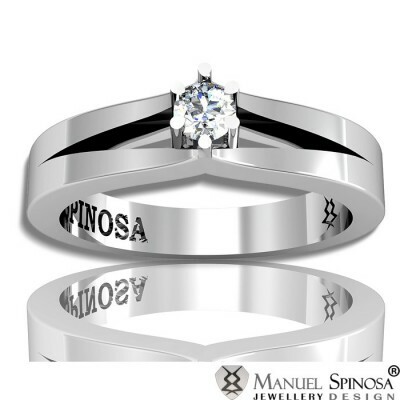 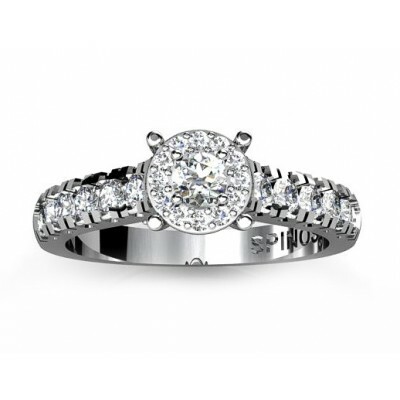 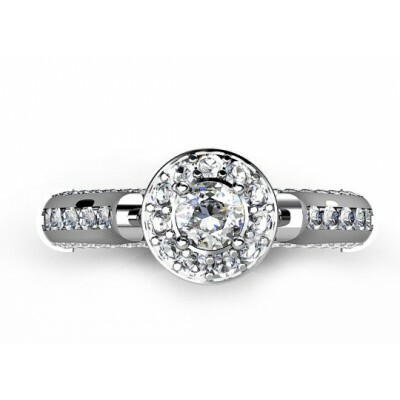 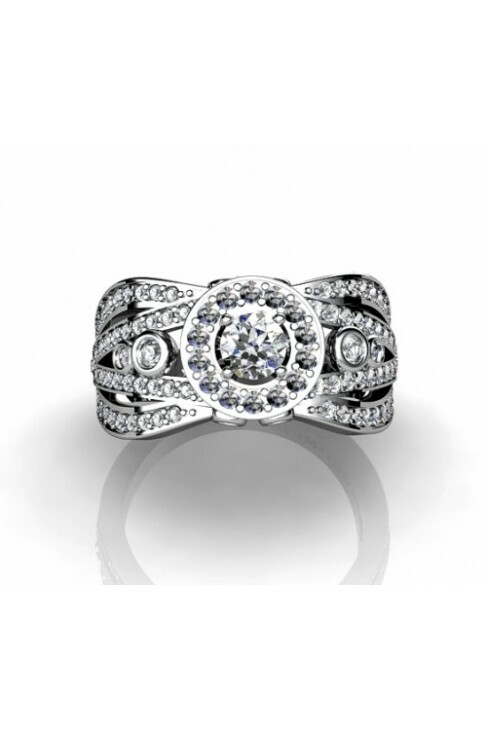 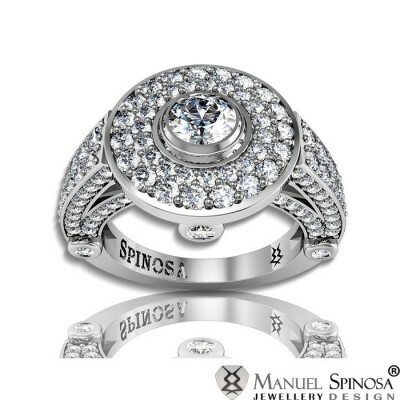 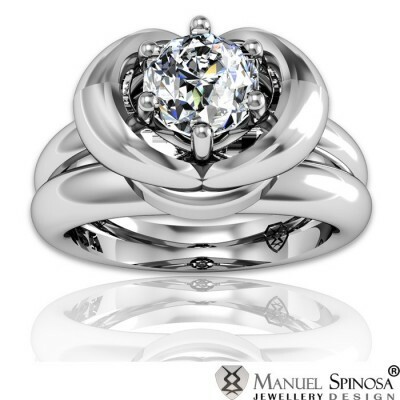 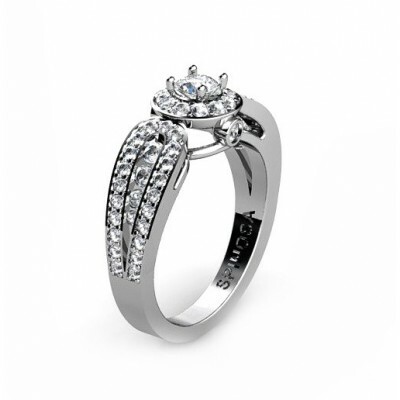 A spectacular engagement ring made of 18k white gold and a central diamond that is surrounded by 14 brilliants. 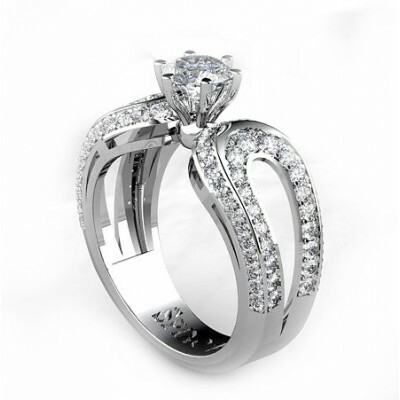 On the sides, there are 88 brilliants. 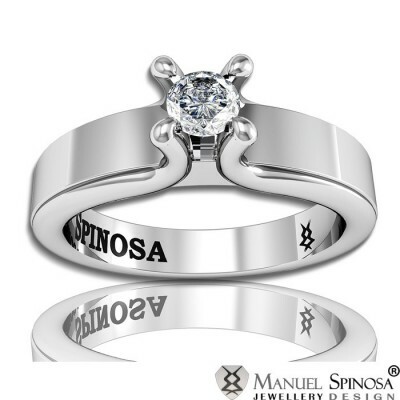 6 of them give a unique cutting edge style to the entire ring. 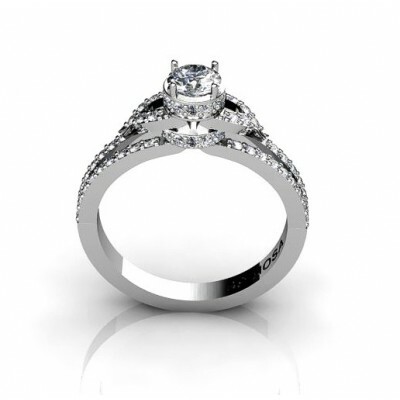 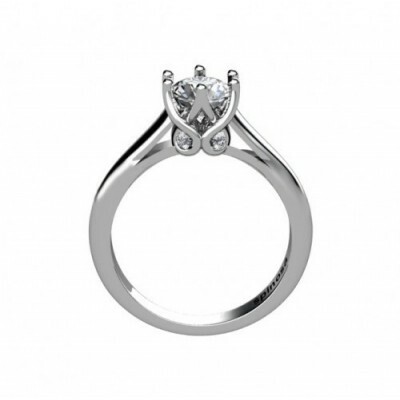 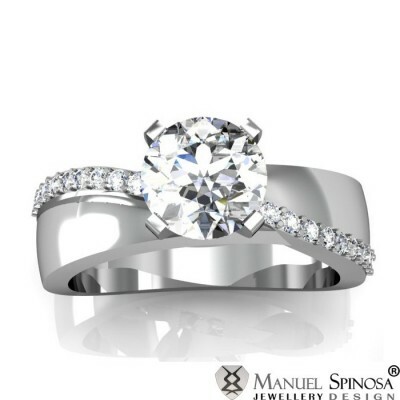 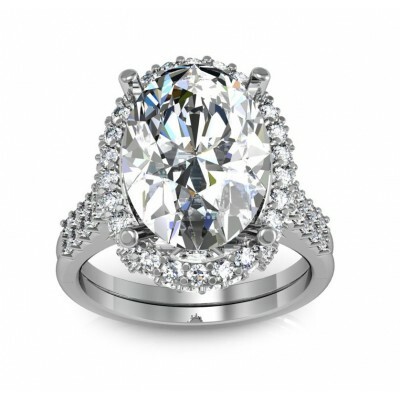 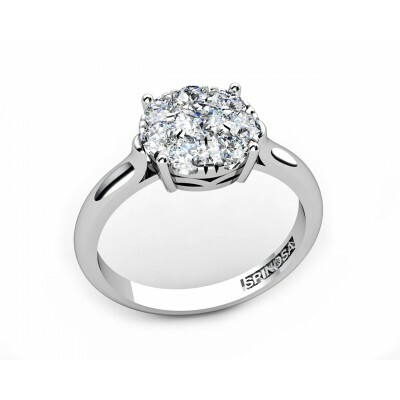 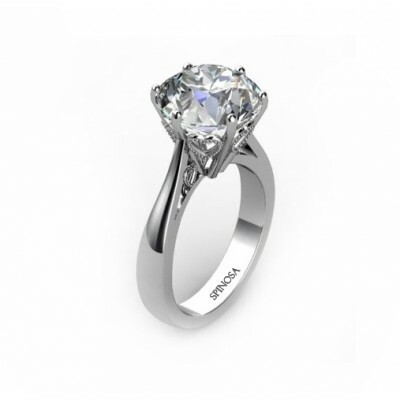 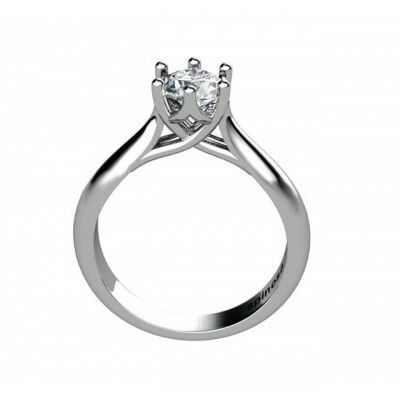 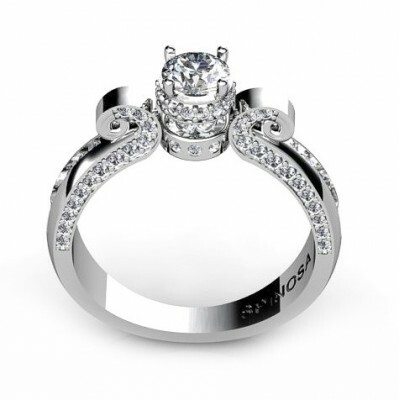 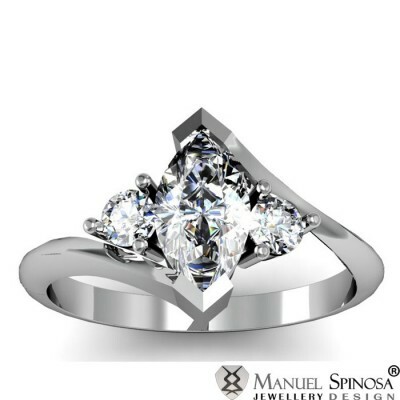 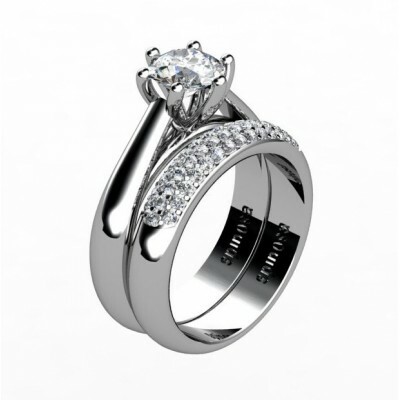 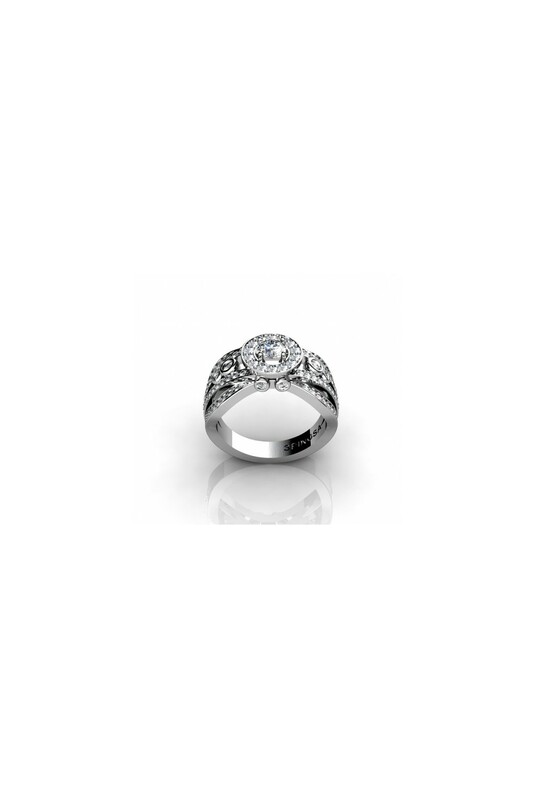 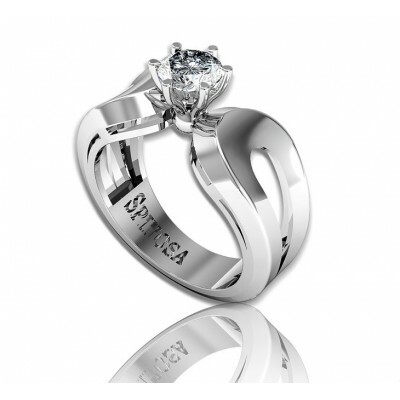 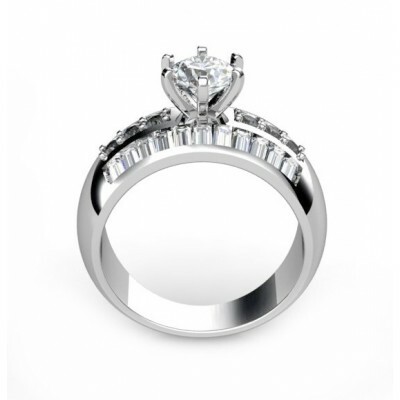 It has a total of 1.06ct, H-VS quality. 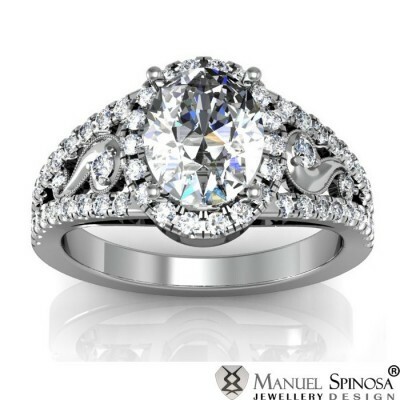 This will be loved by every woman.